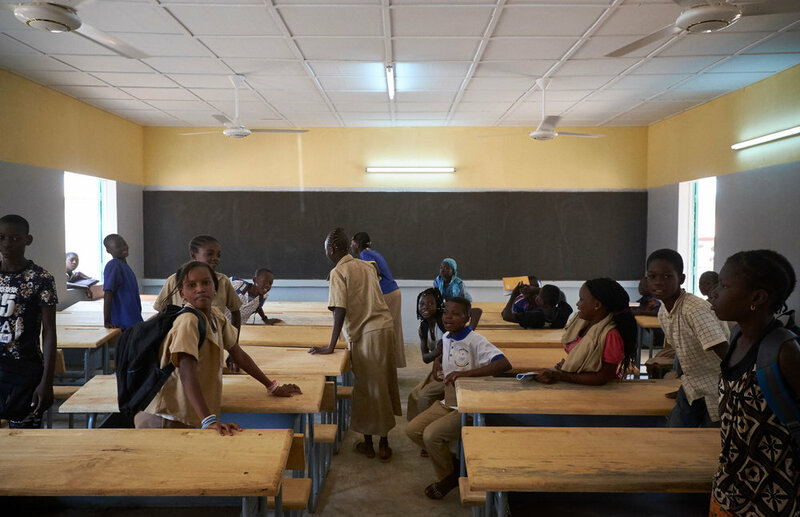 PDev II financed the construction of three classrooms with desks, blackboards and ceiling fans at Yadega High School in Ouahigouya, Burkina Faso. 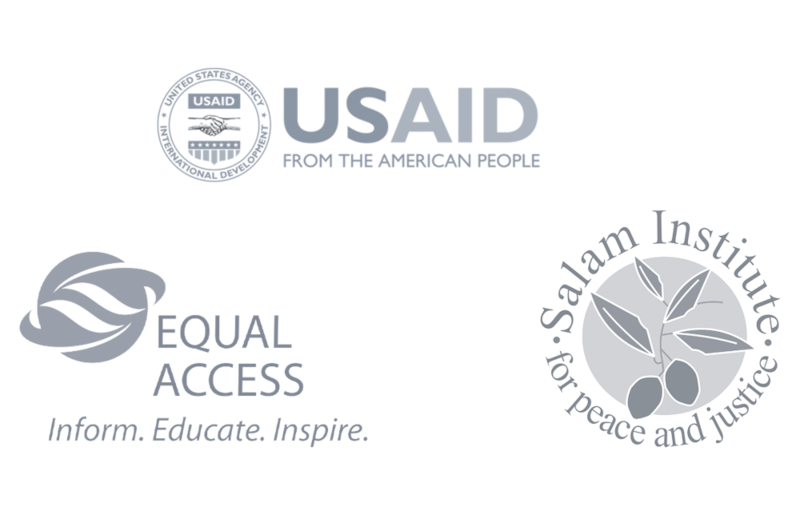 The former American Ambassador to Burkina Faso, Dr. Tulinabo S. Mushingi and Jean Martin Coulibaly, Burkina Faso’s Minister of Education, attended the opening ceremony held on October 6, 2016. Former American Ambassador to Burkina Faso Dr. Tulinabo S. Mushingi (suit and tie) and Jean Martin Coulibaly, Burkina Faso's Minister of Education, participate in the classroom opening ceremony. 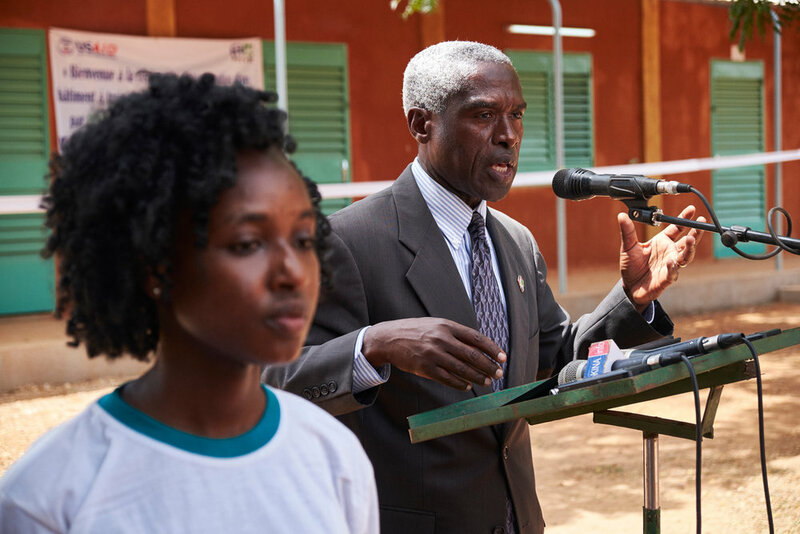 Former American Ambassador to Burkina Faso Dr. Tulinabo S. Mushingi speaks during the classroom opening ceremony. 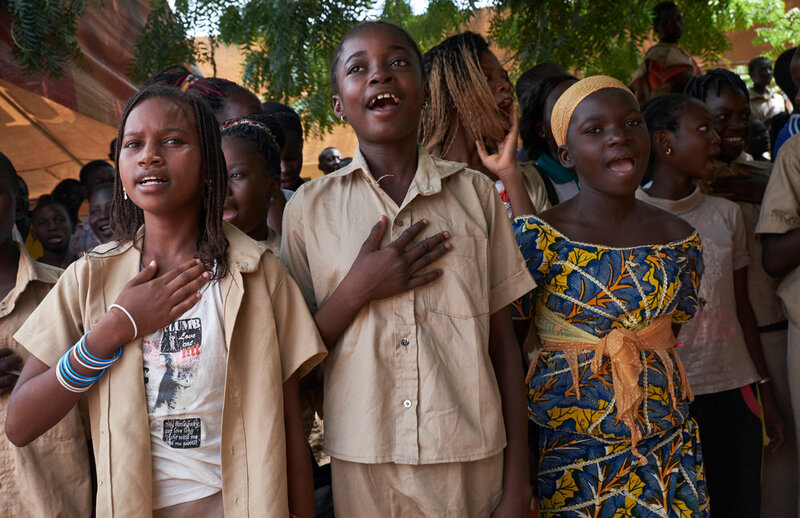 Students sing during the ceremony to celebrate the opening of the new school classrooms.